Mr. Justice Mohammad Azam Khan former Chief Justice of Azad Jammu & Kashmir was born in village Kalyal Bainsi, District Mirpur on 25th February 1952. He got his primary education from his village school and passed secondary school examination from Govt. High School Potha Bainsi Mirpur in 1967 and his intermediate examination in 1971 from Govt. Degree College Mirpur. Did his graduation from Punjab University Lahore in 1974 and L.L.B from Punjab University Law College Lahore in 1977. He started his practice as a pleader in lower courts at Mirpur in December 1977. He was enrolled as an Advocate of the High Court in January 1981 and as an Advocate of Supreme Court of AJ&K in June 1983. He was appointed as Additional Advocate General in March 1991. He actively participated in Bar politics and was elected as Additional Secretary Mirpur Bar Association in 1978, Secretary General District Bar Association Mirpur in 1986-87 and was elected unopposed President of District Bar Association Mirpur in 1996-97. In 1997 he was elected as member of the first AJ&K Bar Council, remained member of the enrolment committee for Supreme Court of AJ&K, Kashmir Committee and Rules Committee of AJ&K Bar Council. He was appointed as Ad-hoc Judge of the Supreme Court of AJ&K on 23rd June 2008 and permanent Judge of Supreme Court of AJ&K on 30th June 2010. He took oath of his office as Acting Chief Justice of AJ&K on 16.05.2011 and as Chief Justice of AJ&K on 25.06.2011. He retied on superannuation on 24.02.2017. In his tenure as Chief Justice, a Memorandum of Understanding (MoU) was signed on 7th September 2013, between the Judiciary of Pakistan and Judiciary of AJ&K. Mr. Mohammad Azam Khan attended meetings of the National Judicial Policy Making Committee in Pakistan as an observer and paved way for the visits of Hon’ble Chief Justice and Judges of Superior Judiciary of Pakistan to Azad Jammu & Kashmir in 2013 and 2016. Mr. Justice (Rtd.) Ch. Rahim Dad Khan (late) was the founder Chief Justice of the Supreme Court of Azad Jammu and Kashmir. He was born in village Choki Mong, Tehsil and District Kotli on 24.01.1916. He did his MA and LLB from Aligarh University, India. On the foundation of the Azad Government of the State of Jammu and Kashmir on 24th October 1947, he was appointed as Sub-Judge on 15.11.1947 and promoted as District & Sessions Judge in 1958. Thereafter, he was elevated as Judge of the High Court of Azad Jammu and Kashmir on 22.12.1964. He was appointed as Custodian of Evacuee Property on 07.1.1965. He was elevated as Chief Justice of the High Court of Azad Jammu and Kashmir on 27.06.1974. On the retirement of Mr. Justice Khawaja Muhammad Sharif, the then Senior Member of the Judicial Board on 07.5.1975, he was promoted and appointed as the Chief Justice (Senior Member) of the Judicial Board of Azad Jammu and Kashmir. He took the oath of his office on 10.5.1975. 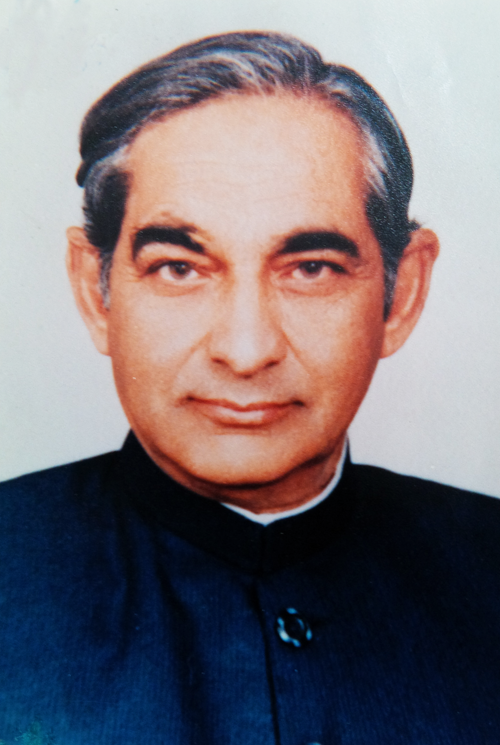 As a result of popular demand that instead of Judicial Board, Supreme Court be established, the relevant provisions of the AJ&K Interim Constitution Act, 1974 was amended in May, 1975 whereby the Judicial Board was renamed and reconstituted as the Supreme Court of Azad Jammu and Kashmir, hence he became the first Chief Justice of Azad Jammu and Kashmir. During his tenure the Supreme Court Procedure Rules, 1978 were framed, approved and enforced. He retired on 08.10.1980. He passed away in 2004 and is buried in his native village Choki Mong District Kotli, Azad Jammu and Kashmir. Mr. Justice Raja Muhammad Khurshid Khan (late) was born in Kallar Bainakhha Tehsil Rawalakot District Poonch on 30th March 1925. He got his early education from Primary School Bainakhha (Rawalakot). Passed his Secondary School Certificate Examination from Sri Jag Dav Singh (SJD) School (now Pilot High School) Rawalakot in 1942 and Intermediate from Sri Partab Singh College Srinagar in 1944. He graduated from Amar Singh College Srinagar in 1946 and did his LLB and MA (Urdu) Part 1st from Aligarh Muslim University, India in 1947 and LLB and MA (Urdu) Part 2nd from Sindh Muslim (SM) Law College Karachi in 1949. In 1950 he started his Legal Practice at Bagh. However, later on he shifted and continued his legal practice at Rawalakot from 1962 to 1972. He was appointed as the Advocate General of Azad Jammu and Kashmir in March, 1972. He was appointed as Judge of the High Court of Azad Jammu and Kashmir on 16.3.1975 and served in that capacity till 1977, when he was elevated as Judge of the Supreme Court of Azad Jammu and Kashmir. From 1975 to 1977, in addition to his own duties as Judge of the High Court, he also performed the additional duties as Custodian of Evacuee Property and the Secretary Law of Azad Jammu and Kashmir. He was appointed as the Chief Justice of Azad Jammu and Kashmir in October, 1980 and retired on superannuation on 30th March 1990. He also performed the functions as Legal Advisor to the Ombudsman of Pakistan from 1991 to 1994 and also served as Ombudsman of Azad Jammu and Kashmir from 1994 to 1997. He died on 22nd June 2018 and is laid to rest in H-11 Graveyard Islamabad. Mr. Justice (Rtd.) Sardar Muhammad Ashraf Khan was born in Poonch City on 13.9.1928. He got his early education at Poonch city Rawalakot and passed Secondary School Certificate Examination from Poonch city High School Rawalakot in 1946. He got his higher education from Government Gordan College Rawalpindi and did his LLB from Punjab University Law College Lahore in 1952. He was enrolled as Pleader on 02.8.1952 and started his Legal practice at Rawalakot. He was appointed as Sub-Judge on 03.11.1956 in the Subordinate Judiciary of Azad Jammu and Kashmir. He was promoted as District and Sessions Judge in 1969 and served in that capacity till 15.8.1982, when he was elevated as Judge of the High Court of Azad Jammu and Kashmir. He was appointed as Acting Chief Justice of the High Court of AJ&K on 01.10.1987. He was appointed as an ad-hoc Judge of the Supreme Court of AJ&K on 23.9.1989 and as permanent Judge of the Supreme Court on 09.09.1990. He also performed his functions as Acting Chief Justice of Azad Jammu and Kashmir in 1991 and 1992, during the absence on leave, the then Chief Justice of Azad Jammu and Kashmir, Mr. Justice Sardar Said Muhammad Khan. He was appointed as the Chief Election Commissioner of Azad Jammu & Kashmir on 02.06.1987 and served in that capacity till 17.4.1999. He retired on superannuation on 12.9.1993 and presently residing in Islamabad. Mr. Justice (Rtd.) Basharat Ahmed Sheikh was born on 29th November, 1935 in Jammu (Indian held Jammu & Kashmir) in a well-known political family. His grand-father Mistri Yaqoob Ali was one of six leaders who were arrested in 1931. In 1947, his family migrated from Indian held Jammu & Kashmir to Azad Jammu & Kashmir. He passed his Matriculation examination from Muzaffarabad in 1952 and earned his B.A. Degree from the Gordon College, Rawalpindi in 1956, where he remained President of the Bar Literary Club. He completed his LLB from the University of Peshawar in 1960 and was enrolled as a Pleader on 10.9.1960. He started his law practice at Rawalpindi and was elected as the Secretary of the Rawalpindi Bar Association in year 1962. In 1967, he moved to Lahore and practiced in the Lahore High Court. During this period, he actively participated in Azad Jammu and Kashmir politics. In 1971, he was appointed Advisor to Sardar Muhammad Abdul Qayyum Khan, the first elected President of AJ&K. He left his political assignment in 1972 and resumed law practice at Mirpur. From 1975 to 1978 he remained Advocate-General in the Governments of Sardar Muhammad Abdul Qayyum Khan, Khan Abdul Hamid Khan and Brig. (Rtd.) Muhammad Hayat Khan. He was elected as the President of Mirpur Bar Association in 1988. On 28.1.1989, he was elevated to the Supreme Court as an ad-hoc Judge. He was appointed as Judge of the AJ&K High Court in 1990 (but he was asked to continue functioning in the Supreme Court). On 21st April 1994, he was appointed as the permanent Judge of the Supreme Court of AJ&K. He retired on 29th November, 2000, after completing about 12 years in the Supreme Court. His lordship played major role in the construction of present buildings of the Supreme Court at Muzaffarabad and Mirpur. After his retirement, he served as Chairman Ehtesab Bureau for two years and also performed additional functions as Ombudsman for about a year. Mr. Justice Sardar Said Muhammad Khan (late) was born on 15.7.1937 in Banjosa, District Poonch. He got his early education at Trarkhal and Rawalakot and passed his Secondary School Certificate Examination from Islamia High School Rawalpindi in 1951 and graduated from Government College Asghar Mall, Rawalpindi till 1955. He did his LLB from University Law College Peshawar in 1957 and was enrolled with the Lahore High Court as a Pleader in September, 1957. He started his legal practice at Rawalakot in March, 1958. He was enrolled as an Advocate High Court and Supreme Court in 1961. He was elevated as the Judge of the High Court of Azad Jammu and Kashmir on 28.5.1978. He remained as an ad-hoc Judge of the Supreme Court of AJ&K from 05.12.1983 to 06.1.1984. He was appointed as permanent Judge of the Supreme Court of Azad Jammu and Kashmir on 07.1.1984 and as the Chief Justice of Azad Jammu & Kashmir on 01.4.1990. He also served as the Chairman of the Council of Islamic Ideology, Judge Drug Court and the Chairman Zakat Council in addition to his own duties as the Chief Justice of Azad Jammu and Kashmir and the Judge High Court at different times. He served as a Judge in superior judiciary for more than 24 years and retired as the Chief Justice of Azad Jammu and Kashmir on his superannuation on 15.7.2002. The Azad Jammu and Kashmir Supreme Court Establishment Rules, 1991, the Code of Conduct for the Judges of Superior Judiciary 1993, service rules for the employees of the Supreme Court namely ‘The Supreme Court (Appointment of Officers and Servants, Terms and Conditions of Service) Rules, 1994’, were framed, approved and enforced during his tenure as the Chief Justice of Azad Jammu and Kashmir. Important amendments in the Supreme Court Rules, 1978, were also made during his tenure in 1997. Due to his concerted efforts as well as the then Hon’ble Judges of the Supreme Court, the Government of Azad Jammu and Kashmir agreed and approved the development scheme for the construction of present building of the Supreme Court. The stone laying ceremony was performed by the then Prime Minister of Azad Jammu and Kashmir, Sardar Muhammad Abdul Qayyum Khan and on completion of the construction work, the building was inaugurated by the incumbent Prime Minister of Azad Jammu and Kashmir Barrister Sultan Mehmood Chaudhary on 27th Nov. 1999. He passed away in 2010 and is buried in his native village Gai Banjosa, District Poonch, Azad Jammu and Kashmir. Mr. Justice Muhammad Yunus Surakhvi (late), was born in village Surakhi, Tehsil Dudyal, District Mirpur on 20.07.1942. He passed his Secondary School Certificate Examination from Government High School Dudyal in 1959. He passed Intermediate Examination in 1961 and graduated in 1963 from Government College Mirpur. He got admission in Punjab University Law College Lahore in 1964 and did his LLB in 1966. Initially, he started his legal practice at Lahore but later on shifted to Mirpur in 1968 and started his legal practice at Mirpur. He was elected as President District Bar Association Mirpur for four consecutive terms. He was enrolled as an Advocate of High Court of Azad Jammu and Kashmir on 18.06.1969 and as an Advocate of Supreme Court on 15.05.1978. He was directly appointed as the Judge of the Supreme Court of Azad Jammu and Kashmir on 18.04.1994. He served as the first Chief Ehtesab Commissioner of Azad Jammu and Kashmir in year 2000, in addition to his assignment as Judge of the Supreme Court. He was appointed as the Acting Chief Justice of Azad Jammu and Kashmir on 16.07.2002 and as Chief Justice of Azad Jammu and Kashmir on 10.09.2002, where he served till his sudden death on 13.9.2004. He also served as the Chairman of the Council of the Islamic Ideology of Azad Jammu and Kashmir. He is laid to rest in his native village Surakhi Tehsil Dudyal, District Mirpur Azad Jammu and Kashmir. Mr. Justice Khawaja Muhammad Saeed former Chief Justice of Azad Jammu and Kashmir was born on 27th October 1941 in village Hajibal, Kala Mola Tehsil Haveli of the then District Poonch. He passed his Secondary School Certificate Examination from High School Abbaspur and graduated from Government College Muzaffarabad. He did his LLB from the University of Peshawar. He was enrolled as Pleader in September, 1967 and as an Advocate of the High Court of AJ&K in May, 1972. He was elected as the Secretary General Central Bar Association Muzaffarabad in the years 1968 and 1971. He was elected as the President of the Central Bar Association in 1978. He was enrolled as the Advocate of Supreme Court of AJ&K in May, 1977. He was appointed as the Judge of the High Court of AJ&K on 12.3.1990, elevated as Acting Chief Justice of the High Court on 27.3.1996 and as the Chief Justice of the High Court as well as the Shariat Court of AJ&K on 13.5.1997. He was elevated as Judge of the Supreme Court of AJ&K on 03.5.2001 and due to sudden death of the Chief Justice of the time Mr. Justice Muhammad Yunus Surakhvi, he was appointed as the Acting Chief Justice of Azad Jammu and Kashmir on 17.9.2004 and as the Chief Justice of Azad Jammu and Kashmir on 25.1.2005. 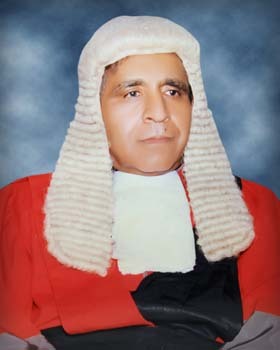 During his tenure as the Chief Justice of Azad Jammu Kashmir, the Government of Azad Jammu and Kashmir made amendments in the Azad Jammu and Kashmir Delegation of Financial Powers Rules, 1994 on 2nd March 2006, providing complete Financial Autonomy to the Supreme Court, High Court and Shariat Court. His lordship retired on superannuation on 26.10.2006. After retirement he was appointed as the Chief Election Commissioner of AJ&K in October 2008 and served as such till 28.10.2012. Mr. Justice (Rtd.) Muhammad Riaz Akhtar Chaudhary was born in old Mirpur, District Mirpur Azad Jammu and Kashmir in the year 1951. He got his early education from Government School Mirpur and passed his Secondary School Certificate Examination from Government High School Mirpur in 1966. He passed his graduation from Government College Mirpur in 1972 and did his LLB from Government Himayat-i-Islam Law College Lahore in 1975. He was enrolled as Pleader in 1975 and as an Advocate of the High Court in 1978. He started his legal practice at Mirpur from 1978. He was enrolled as an Advocate of the Supreme Court of Azad Jammu and Kashmir in 1980. He was appointed as the Additional Judge of the High Court of Azad Jammu and Kashmir on 24.1.1991 and served in that capacity till 2.11.1994. He was appointed as the Judge Shariat Court of AJ&K on 03.11.1994 and performed his functions till 22.10.1997. He was elevated as permanent Judge of the High Court of AJ&K on 23.10.1997. He was appointed as Acting Chief Justice of the High Court of AJ&K on 5.8.2004 and as the Chief Justice of the High Court on 21.8.2004. He served as the Chief Justice of the High Court till 25.9.2006. He was appointed as Judge Supreme Court on 28.9.2006 and as the Chief Justice of Azad Jammu and Kashmir on 27.10.2006. He has also performed his functions as the Chief Election Commissioner of Azad Jammu and Kashmir from 11.7.2005 to 29.10.2008. He served in the superior judiciary for more than 19 years and was retired as the Chief Justice of Azad Jammu and Kashmir on 06.5.2010. Mr. Justice (Rtd.) Syed Manzoor Hussain Gillani was born in village Kandi Karnah District Kupwara (I.H.K.) on June 7, 1945. After school education, graduated from Jammu and Kashmir University, Srinagar in 1968. Obtained Law Degree in 1970 from Aligarh Muslim University, Aligarh. Practiced law in Srinagar up to 1976. Migrated to Azad Jammu and Kashmir in the same year along with his family. 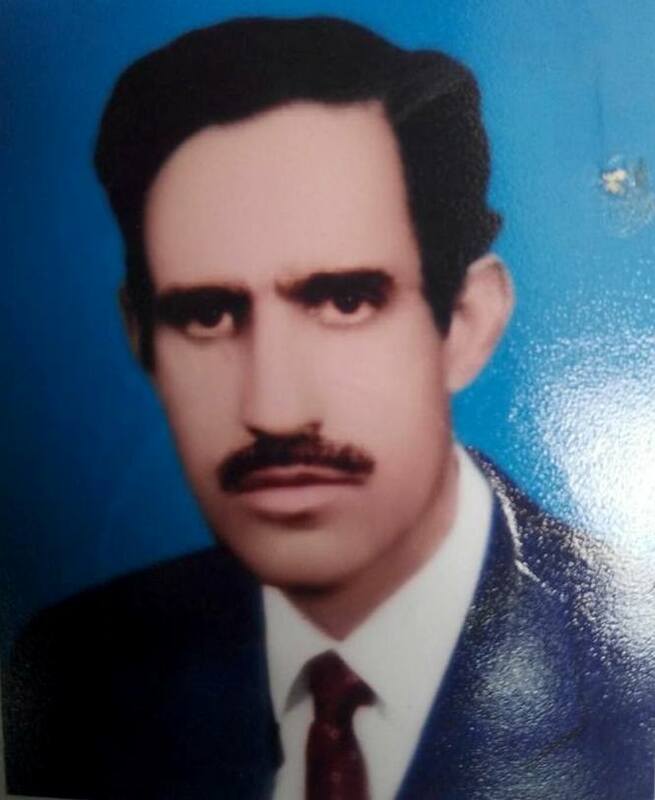 He was enrolled as an Advocate of the Azad Jammu and Kashmir High Court in September, 1977 and as Advocate of the Supreme Court of AJ&K in 1979. Served as Legal Adviser to Custodian and Rehabilitation Departments and as an Adviser to Muslim Commercial Bank from 1979 to 1986. 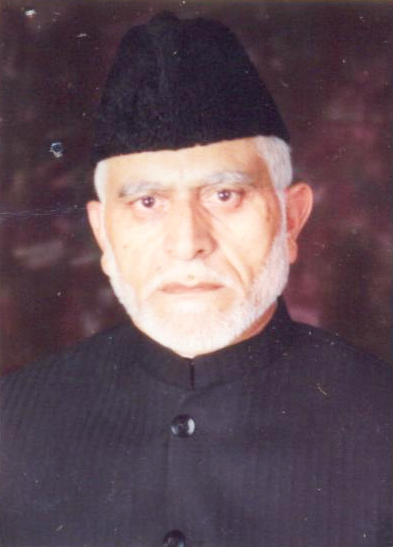 Elected Chairman Zakat Committee in 1979, Member of the Muzaffarabad Municipal Corporation and Chairman of the Legal Committee of the Corporation in 1983. He was appointed as Advocate-General for AJ&K in March 1986 and resigned from office in March, 1990. 4. A Book in Urdu titled "Rozan-e-Khayal Se". His columns on variety of subjects are published by Urdu & English National News Papers. He is considered as expert on the History of Kashmir and Issue and is called for lectures and opinion by different Universities, Think Tanks and Administrative Staff Colleges of Pakistan. Currently is a Member of the Council of Islamic ideology of Pakistan. He is also Chairman of the Association for the Rights of the People of Jammu and Kashmir, (ARJK), a Think Tank. Mr. Justice Khawaja Shahad Ahmed former Chief Justice of Azad Jammu & Kashmir was born on 15th May 1946 in the occupied part of Jammu & Kashmir. He got his early education from Govt. Schools in Hattian Bala, Garhi Dopatta and Muzaffarabad. He did his L.L.B form Punjab University Law College Lahore in 1969 and joined the bar in November 1969 as a pleader. He was enrolled as an Advocate of the High Court of AJ&K in May 1973 and that of Supreme Court in August, 1978. He was elected as General Secretary & President of Central Bar Association Muzaffarabad more than once. He had a good reputation as a lawyer and has a stint of 35 years as a professional lawyer. He has been the Custodian of Evacuee Property of Azad Jammu & Kashmir in 1990-91. He was appointed as Ad-hoc Judge of the Supreme Court of Azad Jammu & Kashmir on 6th June 2005 and again on 19th October 2006 followed by his appointment as permanent Judge of the Supreme Court on 25th January 2007. 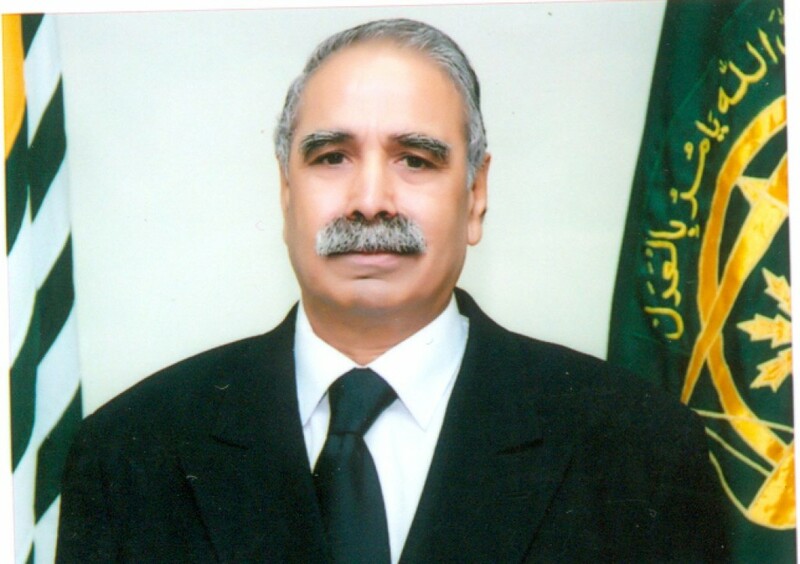 He took oath of his office as Acting Chief Justice on 11th May 2010 and as Chief Justice of Azad Jammu & Kashmir on 11th June 2010 and served as such till 14.05.2011 when he retired from service on superannuation. After his retirement he was appointed as the Chairman Public Service Commission of Azad Jammu & Kashmir.